To Prep: The students need a story or MovieTalk that they’re familiar with. On Friday we played this game after we had spent 3 class periods talking about Don Omar’s Pura Vida video. 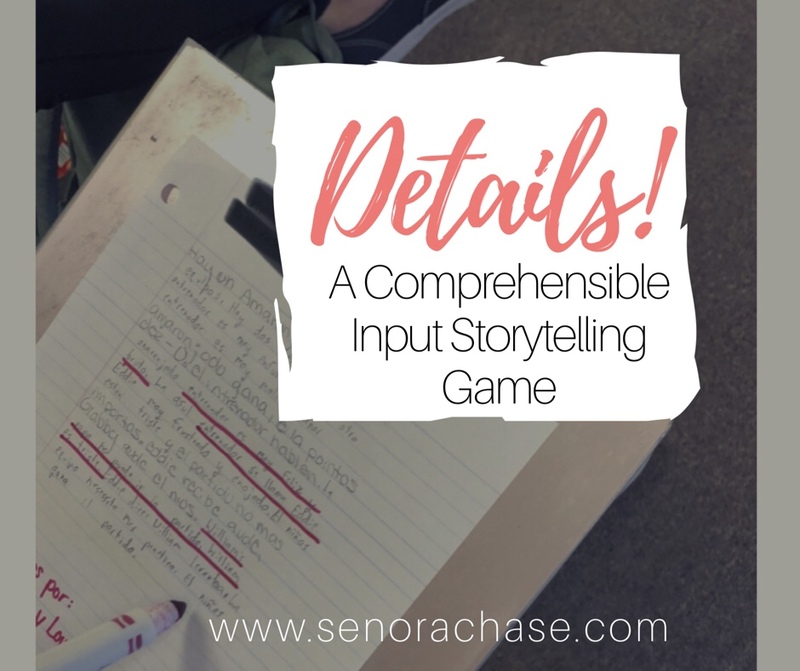 It works equally as well to play after you’ve created and reviewed a class story. Just pick something that has a lot of details. Students partner up and need 1 paper and 1 pencil to share. Really milk it…give them a bunch of details because this is the part where they’re soaking up the input. Once you’ve said all the details you can think of, or you’re out of time, students return the paper to it’s owner. The pair(s) that have the most tally marks are the winners and they earn a stamp on their stamp sheet. I don’t have a cute and clever name for this game. Or maybe I had one at one time and I forgot. In any case, if you think of a cute and clever name for this game, please tell me!